This sequel to The Hound of the Baskervilles was released in 1987 to celebrate the Centenary of Sherlock Holmes. The hardcover (pictured here) contains illustrations by Steranko. 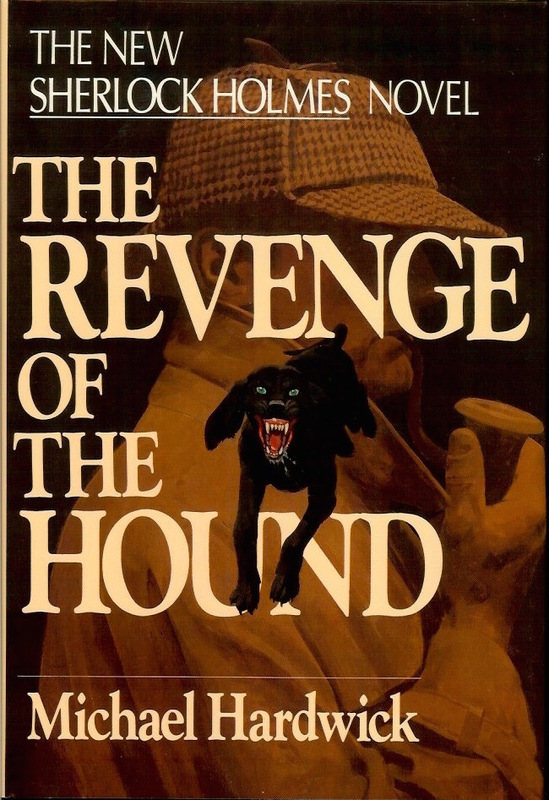 The Revenge of the Hound is set in June 1902, only months after the publication of the most popular mystery of al time, The Hound of the Baskervilles. The coronation of Edward VII has been postponed for what at first seem to be mysterious reasons. Spy scares are rife across England. The working class is filled with unrest. The unthinkable, a British revolution, now seems possible. Amid it all, Dr. John H. Watson, esteemed chronicler of the adventures of the world's most famous consulting detective, is in love. He has become engaged to an American woman many years his junior, a decision which may affect his long-standing relationship with Sherlock Holmes. Holmes himself is on the verge of a major decision. Although he is not quite fifty years old, he sees the coming age as a time to retire. With the end of the Victorian era and the advent of forensic methods, his unique talent for deduction is being challenged by science and the growing conformity of the modern world. Yes before the decision can be made,three seemingly unrelated events occur. From Inspector Lestrade of Scotland Yard comes news of a baffling case, the sighting on Hampstead Heath of a creature frighteningly similar to that of the infamous Hound of the Baskervilles; from Holmes's brother, Mycroft, comes a mysterious summons; and from the deck of am English Channel ferry, Holmes and Watson witness firsthand the apparently motiveless murder of a ship's steward. Suddenly, the midnight oil is burning again at 221B Baker Street. Holmes's deductive mind is roused from self-indulgence to excitement. The die is cast. The game's afoot. As the coronation of Edward VII grows closer, Holmes and Waston realize that what might be the last case of their career together may indeed decide the very fate of England!